Thanks to gavrielle for sending us this. 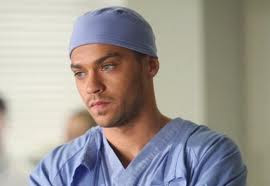 The actor, who plays hunky Dr. Jackson Avery on “Grey’s Anatomy,” married longtime girlfriend Aryn Drake-Lee on Saturday, according to People. Jesse, 31, and Aryn, a 32-year-old real estate broker, tied the knot in a “romantic, elegant, evening ceremony,” while family and close friends looked on, the mag reported.